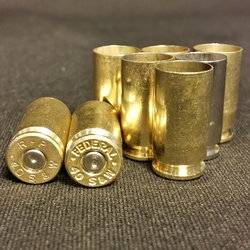 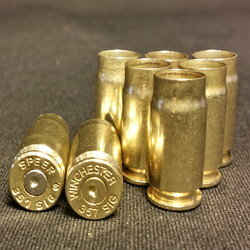 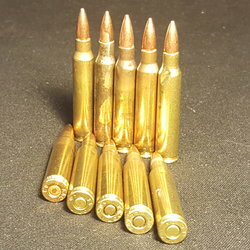 Home :: PROJECTILES :: (.357 SIG) 9MM CAL (.356) 124gr HBFP-TP 500 ct.
and provides more contact area with the barrel and rifling to stabilize the bullet and improve accuracy. 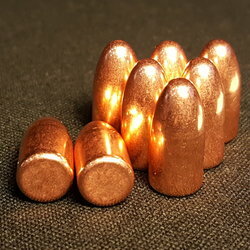 The thick plate allows the bullet to handle up to 1500fps. 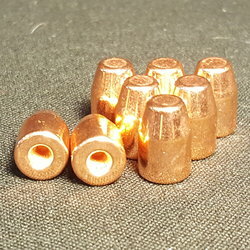 published load data for a jacketed bullet as long as it is the same weight bullet. 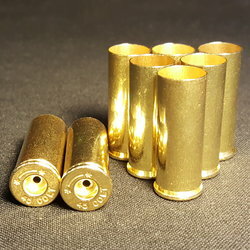 SAAMI MAX COL 9MM= 1.169"
SAAMI MAX COL .38 Super = 1.280"
Can withstand velocities up to 1500 fps."